L'Oreal has reformulated its Revitalift Anti-Wrinkle line, which is one of the most recognizable and reknown brands of anti-aging products on the market. Now, with new packaging and a new formula, I thought it was worth paying this range a visit again! According to L'Oreal, the newer formulation of the Revitalift range includes Centella Asiatica extract, which is renowned for its repairing properties. There is indeed some evidence that Centella Asiatica extract, when used topically, has the potential to heal wounds by stimulating collagen synthesis and angiogenesis. 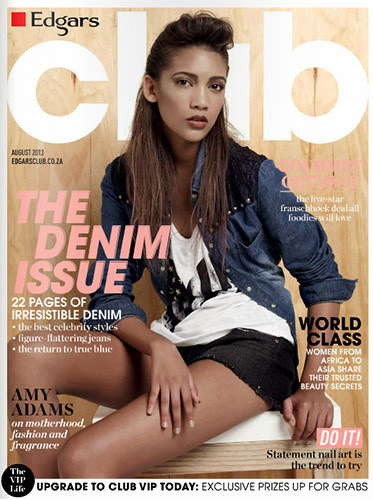 So, I was intrigued and definitely keen to know more. For this review, I'm looking at three products - the Revitalift Intensive Repair Essence, Revitalift Anti-Wrinkle + Firming Eye Cream, and Revitalift Anti-Wrinkle + Firming Night Cream. Let's go through these products, take a look at their ingredients, and see how I fared with them! First up, the Revitalift Intensive Repair Essence. This is one of the pricier products in this line, and I like that it is packed in a hygienic dropper bottle. Next to tube and pump packaging, droppers are also one of my more preferred methods of packaging. Revitalift Intensive Repair Essence: Looking luxe in a nice red bottle. The formulation of the Intensive Repair Essence is pretty interesting. While there is indeed Centella Asiatica extract in the Intensive Repair Essence, one of the things I noted that was the presence of Bifida Ferment Lysate. Now if this sounds familiar, it's because I previously looked at Lancôme Advanced Génifique Youth Activator, which had the Lysate as a main ingredient, and also wrote a bit about Bifida Ferment Lysate and how it works in skincare. Basically, L'Oreal's research has shown that Bifida Ferment Lysate, when applied to skin in a cream of 10%, helped improve skin barrier function, and hydration, although outside of L'Oreal's own research, I haven't seen any other studies validating this result. So there you go - not only do you get Centella Asiatica extract, you also get a boost with Bifida Ferment Lysate. Interestingly, I thought the formulations of both the Lancôme Advanced Génifique Youth Activator and the L'Oreal Revitalift Intensive Repair Essence were somewhat similar, so I imagine that if one works for you, you'd probably like the other as well. I imagine that with both the Bifida Ferment Lysate and the Centella Asiatica extract, usage over the long run should yield some results on the skin. Revitalift Intensive Repair Essence: Both Centella Asiatica Extract and Bifida Ferment Lysate give the ingredients list some interest. As far as application goes, the Revitalift Intensive Repair Essence was excellent. It was light, silky, and it sinks in fast. It isn't really a watery, lotion-type essence, nor is it a silicone-y, nor is it a gel-like liquid. I'd say its somewhere in between, and it has a very nice texture that I really liked. This went on my skin very nicely, and also works easily under any other product, be it another Revitalift product or not. Overall, I liked that it absorbs quickly, has a nice and smooth skinfeel, and no residue or silicone-y feel that made it hard to deal with. So far for the month or so I've had this, I felt like it did help my skin to feel smoother and better overall. I'm not really at the age to evaluate its anti-aging properties, but I passed it on to my mum to try, and she loves it. So it must be doing something right. 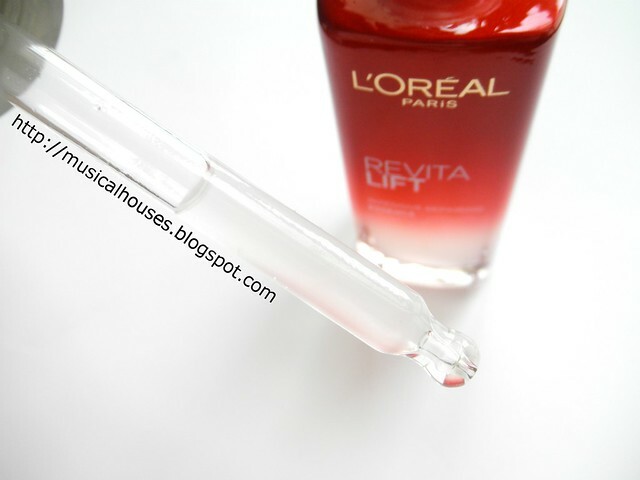 L'Oreal Revitalift Intensive Repair Essence: light, silky, and it sinks in fast. Would I recommend this? If you liked the Lancôme Advanced Génifique Youth Activator and are looking for something cheaper, then this would fit the bill very nicely - no surprise there, since Lancôme is owned by L'Oreal group after all. I think the two serums are largely similar, with some minor differences - for example, the L'Oreal version as Centella Asiatica Extract for anti-aging benefits, while the Lancôme version has also added a form of Vitamin C (Ascorbyl Glucoside) for anti-oxidant and anti-aging benefits, as well as Hylauronic Acid (here in the form of Sodium Hyaluronate) for extra moisture. So preferences will vary, but either one would probably work for you. Next, the Revitalift Anti-Wrinkle + Firming Eye Cream. This is in a jar, and you get the standard 15ml of product inside. 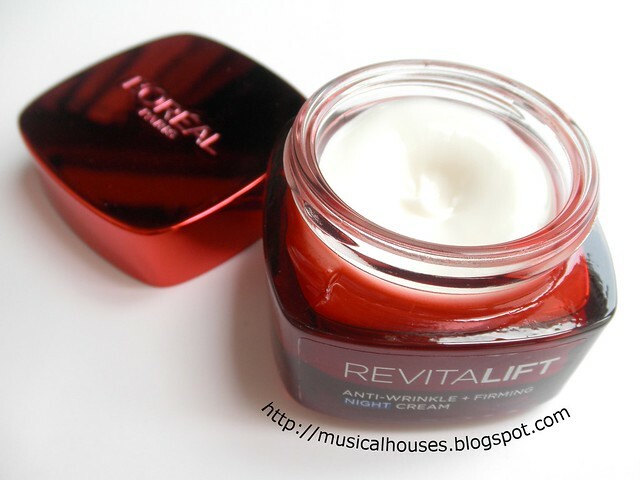 L'oreal Revitalift Anti-Wrinkle + Firming Eye Cream: 15ml of eye cream in the jar. From a formulation perspective, this is also a pretty interesting product. There's water, glycerin (humectant), as well as a couple of silicones and polymers for a better texture and also as emollients (Dimethicone and C12-15 Alkyl Benzoate). After that, you get Shorea Robusta Butter/Seed Butter, which is from the Shala tree. 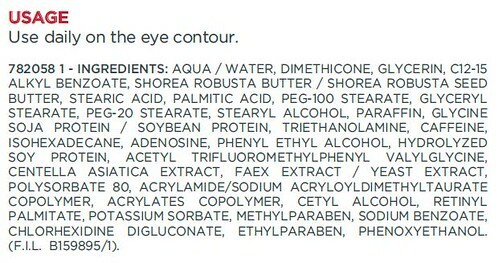 This ingredient is pretty new to me, and I haven't yet come across any other eye cream with this ingredient, despite my years of being a beauty junkie and my obsessive reading of ingredients list. So the inclusion of the Shorea Robusta Butter/Seed Butter was interesting to me. From the looks of it, the Shorea Robusta Butter/Seed Butter is quite similar to cocoa butter, as well as other oils, such as mango kernel, so it would be a good emollient moisturizer similar in feel to cocoa butter. This is paired with other fatty acids to further provide some emollient function to the skin, such as stearic acid, palmitic acid, and so on. All in all, this has very strong emollient properties, which is good for an anti-wrinkle cream; after all, a large cause of eye wrinkles is simply plain ol' skin dryness. 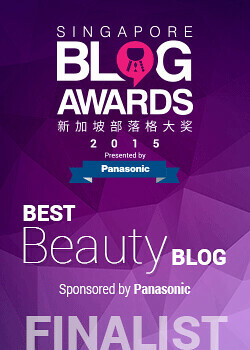 There is also Centella Asiatica extract in the eye cream, of course. L'Oreal Revitalift Anti-Wrinkle + Firming Eye Cream: A highly emollient formula with Shorea Robusta Butter. Despite its emollient nature, it actually feels nice, light and comfortable going on the skin. The cream has a light, creamy texture that didn't weigh my skin down, and absorbed very fast. The nice and silky texture of the cream also means that it works well under eye makeup, too. Overall, I found this to be a very aesthetically elegantly formulated eye cream, that still provides a good deal of hydration. I actually really liked this - I felt it balanced the need to moisturize my eye area with my preferences for being light enough to wear under makeup. I passed this on to my mum after my trial period (because, again, I'm not quite part of the anti-aging market just yet, although I'll get there sooner than I wish, I'm sure! ), and so far, my mum likes it. L'Oreal Revitalift Anti-Wrinkle + Firming Eye Cream: A light texture that sinks fast into skin and also works under makeup. 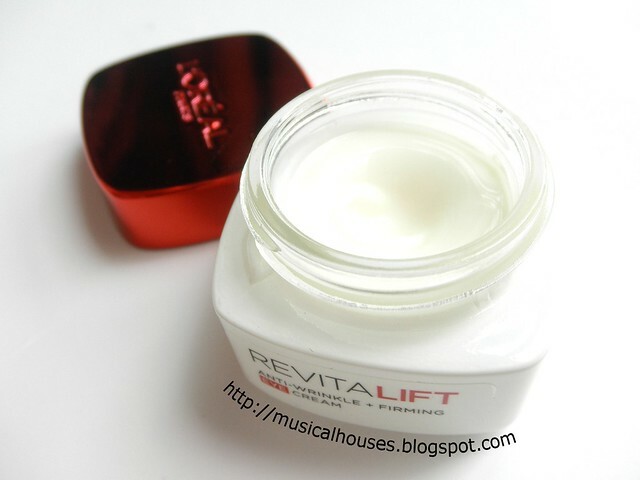 Next, we have the Revitalift Anti-Wrinkle + Firming Night Cream. This is also packaged in a jar, and probably the thickest-textured of all the products in the range. Revitalift Anti-Wrinkle + Firming Night Cream: One of the highlights of the Revitalift range. From a formulation perspective, this is a good all-around cream, with humectants such as Glycerin, emollients such as Hydrogenated Polyisobutene and Cetyl Alcohol - which contrary to popular belief, won't dry out your skin just because it has the word "alcohol" in its name. Cetyl Alcohol, Cetearyl Alcohol, Stearyl Alcohol, and a few others are actually fatty acids with a waxy feel, so they are actually moisturizing to the skin. Glyceryl Stearate and PEG-40 Stearate do double duty as a skin conditioning agent and emulsifier so your product doesn't separate. There are also plant oils, such as Apricot Kernel Oil and the Shorea Robusta Butter/Seed Butter, as well as Centella Asiatica extract. So for the most part, you're getting a cream that is heavy on the humectants and emollients, which is good if you have dry skin, and is also, again, useful for anti-aging products. The Centella Asiatica extract is also a bonus. Revitalift Anti-Wrinkle + Firming Night Cream: A formula that has humectants and plenty of emollients to moisturize skin. When I used this cream, I found that its thick texture was almost like a balm. After all the light, easy textures of the eye cream and essence, I was expecting something similar, but this is thicker. Still, it feels nice on skin, with a texture that is luxurious but not needlessly thick or heavy, and yet still fast-absorbing. This is a night cream, but I personally feel the texture is suited for day use, as well, if you are so inclined. I certainly think it worked well under makeup. Revitalift Anti-Wrinkle + Firming Night Cream: Despite the thick texture, this absorbs fast and works well under makeup, too. All in all, I felt the entire range was one that is best suited for people with dry skin, who are looking for products tha do a good job of hydrating and moisturizing the skin, without feeling too weighty or heavy. The formulation of the new Revitalift line also has some interesting unique ingredients that you don't see often in drugstore skincare, namely the Centella Asiatica extract, as well as the Shorea Robusta Butter/Seed Butter. For the most part, the Shorea Robusta Butter/Seed Butter seems to be there in fairly decent amounts (enough, I'd guess, to be effective in the formulation), and the Centella Asiatica extract is there in much lower amounts - although I do note that in the review of literature on Centella Asiatica extract, it seems that even at pretty low concentrations (0.2% and 0.4% in some studies), there is still some effect shown when used topically, so I'd wager that over the long run, you'd still see some effect from the product. A bonus is that of the products are fairly affordably priced, with the products ranging from S$29.90 for the Eye Cream to S$32.90 for the Night Cream. Only the Essence is more pricey, at S$45.90. Certainly these are not the cheapest, but they aren't ripoff prices, either - if you walk into a chichi shopping mall, you can bet that you can probably end up spending double the price on products that are almost identically formulated. I imagine if you're looking for something fairly affordable, have dry skin that results in fine lines appearing on your face, and are curious to try a product with some unique ingredients that could help to boost collagen synthesis in your skin, then the new Revitalift range would be worth checking out. The Bottom Line: A range of anti-aging products that moisturize skin, while still feeling lightweight on the skin. Some interesting ingredients set this apart from its competition in the drugstore. wow the serum is pretty expensive for a drugstore. I did not go crazy over lancome genefique. but I did not hate it. I thought after reading your review maybe I could try this one because it is cheaper, the price is still pretty hefty. @Visceral Maze: Yes, unfortunately it isn't that cheap by drugstore standards, although overall I think it's a good product. Seems like drugstore prices have been creeping up too! What did you think after prolonged use of the Genefique? Any difference? And what about Genefique Eye? I used that and after a couple of weeks, my puffiness and darkness around my eyes was nill, almost gone. Seems like my wrinkles were less noticeable too! It worked great for me, but for the price, I couldn't afford to keep buying it. @JulieCatKyle: To be honest, I think generally there was some improvement in the overall appearance of my skin, but as I'm not quite 30 yet, I'm also not really at the age to comment too much on wrinkles or things like that. My mum really likes it though! If Genefique is too expensive for you, you'll be glad to know that Lancome's sister brand, L'Oreal (which owns both L'Oreal and Lancome), has nearly identical formulation in their Youth Code range. So you can probably go and buy L'Oreal's Youth Code, and get similar results to Lancome's Genefique, at a lesser cost :) Hope this helps! Since you've reviewed both the L'oreal Revitalift with Centella Asiatica and the Olay Recontructing Regenerative Cream (Night? ), which would you say would be a better 'overall' cream for healing/regeneration and hydration? I think I have dehydrated skin rather than dry skin, but all the "hydration" products don't seem to be "enough" for the night (with airconditioning) so before I even get to sleep my skin feels parched like I need to go slap on something heavier. 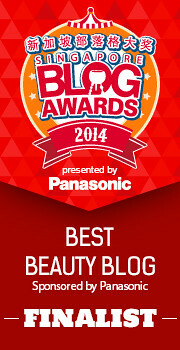 YET I fear breakouts from cream with a creamier formulation. I'm wondering abt the addition of alcohol in skincare products. 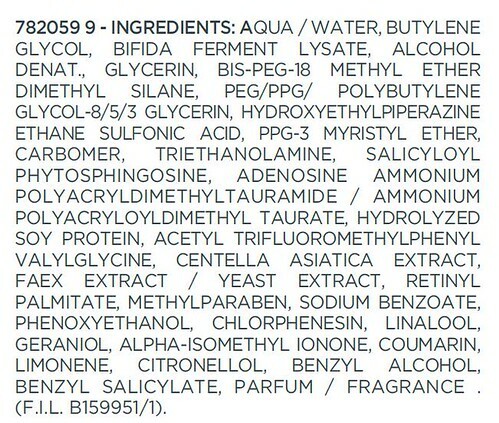 The list of ingredients for the essence actually includes alcohol denat, which will dry out our skin, right? Is it always a no-no to have alcohol denat/ethanol added in skincare products? @wendyictefolio: Thanks for your question! 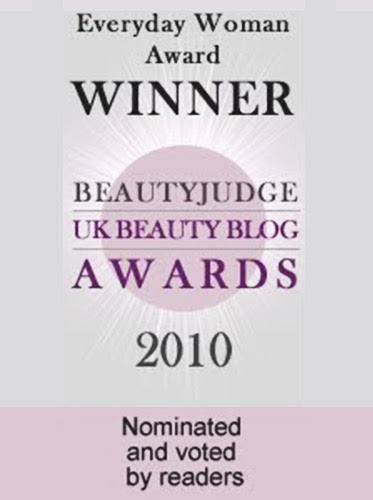 I've actially addressed this in brief in another skincare review previously (found here: http://musicalhouses.blogspot.com/2013/11/juju-aquamoist-moisture-lotion-review.html in case you want to see the full post) so I'll just copy and paste my views on alcohol in the post. I think it will answer your question! "Now I know that alcohol is one of the ingredients that gets a bad reputation due to a lot of misinformed online opinions, but the truth is that how drying alcohol is for your skin depends largely on how the end product is formulated. Alcohol will be drying to your skin if a product is formulated with very high levels of it and not much else, but in most products I've seen, the alcohol serves a useful purpose. Because alcohol is a good penetration enhancer, it often is used in skincare products to deliver the active ingredients to the skin, which would otherwise sit on top of the skin and not yield much benefit. A notable example is the gold standard for Vitamin C serums, Skinceuticals, which uses alcohol to enhance penetration of the Vitamin C (ascorbic acid) in the product. A second use of alcohol that is beneficial in skincare is to thin out products. So if you have a product that is formulated with a lot of oils or waxes or heavy-feeling ingredients, you can add in some alcohol to thin out the product and make it easier to apply on the skin. So to sum up, yes - while it is true that alcohol by itself can indeed dry out the skin (for sure I wouldn't recommend that anyone take 100% alcohol and swab it over their face! ), it actually has beneficial uses in skincare, depending on the formulation. You can't just pick out one ingredient and then conclude that the entire product is bad - instead, for a more holistic assessment, it's best to consider also what else it is formulated with, what benefits it brings to the product, the overall formula, as well as your own skin type." i uesd it good product.congrats.